I used to run my monthly newsletter, Ryan's Music Mail, via very old-school methods - signups via a simple form and emails from my Mac's Mail. So many pitfalls however, including the ever increasing list of people in my Address Book. There must be a better way?! On one rest night in Argentina at the end of last year, I came across MailChimp and was entirely impressed with all of the features. It is extra safe for subscriber's information, extra easy for them to unsubscribe or update their information, signups are completely automated, statistics are incredible including full integration with Google Analytics (YES! ), it basically runs itself and on top of that it creates beautiful HTML emails. This is brilliant and means I can focus more on what really matters, creating some music. Sign up here to Ryan's Music Mail. If you're not subscribed yet click on the link above and keep in touch with all of my music, projects, favourite resources and latest news. 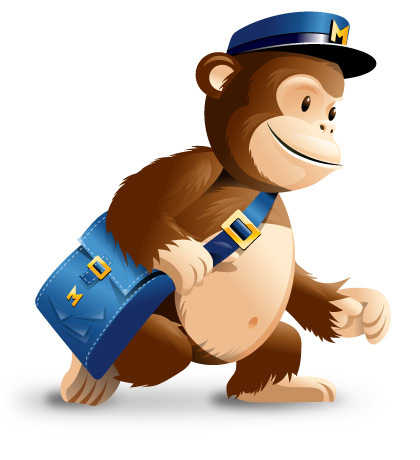 I should mention that the MailChimp monkey is the friendliest monkey I've ever met - ah never mind, you wouldn't understand ... seriously!